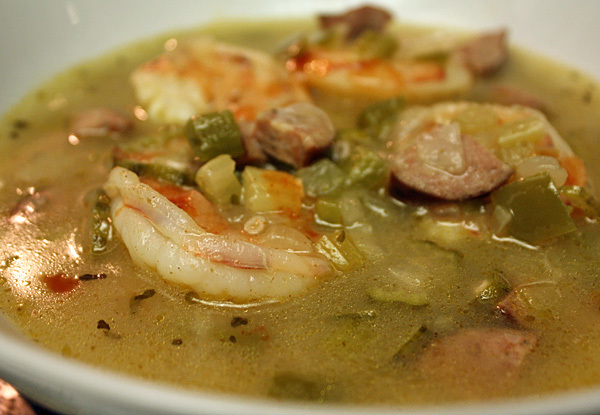 Here’s Week 28, Meal 3: Shrimp gumbo. 4 oz. link andouille sausage. 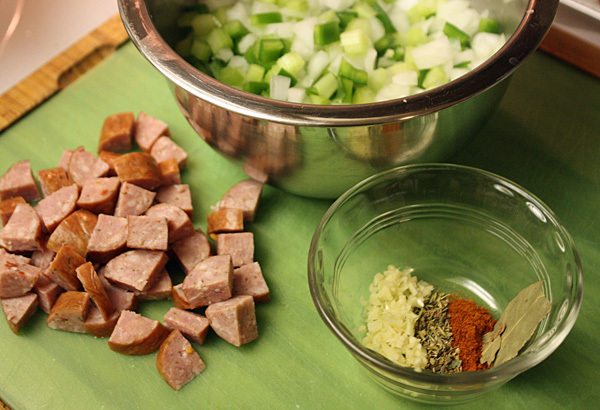 medium diced, See if you can find chicken or turkey andouille. It’ll have the same seasonings but less calories. 12 oz. shrimp, 26-30 size or similar, peeled and deveined. Like most recipes, you should knock out all of your prep work before cooking. This is a recipe especially though, where if you get your mise en place done off the bat, you’re good to knock out this one-pot wonder fairly quick. 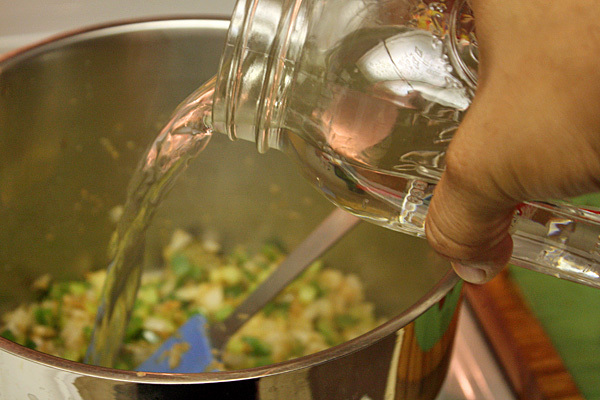 In a large pot heat 1 1/2 T of vegetable oil over medium-high heat, add 1 1/2 T of flour and stir until combined. 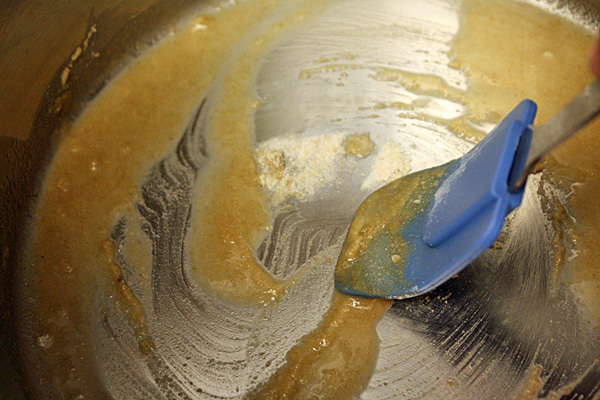 Continue to stir until the flour mixture (roux) turns the color of milk chocolate, about 3-4 minutes. 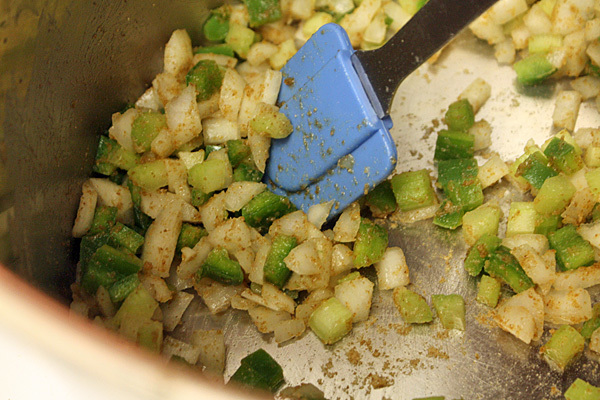 Add 1/2 yellow onion, 2 stalks of celery and 1 green bell pepper and cook for 1-2 minutes. Then add 1 clove of garlic, 1/4 t of cayenne pepper, 1/4 t of combined dried oregano, dried basil and dried thyme and 1 bay leaf. Add 4 oz. 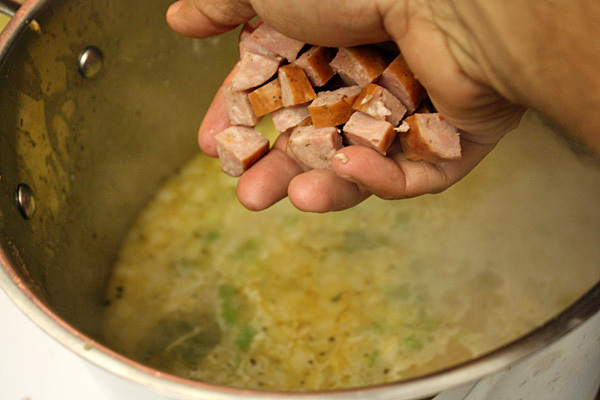 of andouille sausage and bring to a boil. Reduce to a simmer and cook for 35-45 minutes, stirring occasionally. 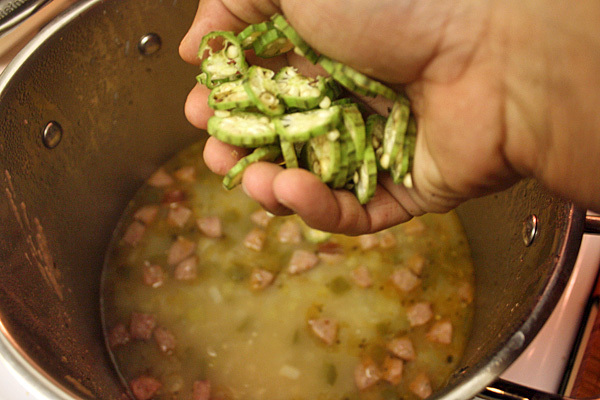 Add 2 pieces of okra and cook for 15 minutes. To finish add 12 oz. 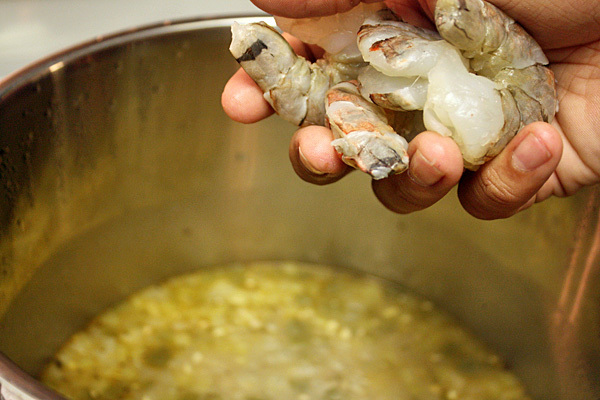 of shrimp and cook until the shrimp has cooked through, about 5 minutes. 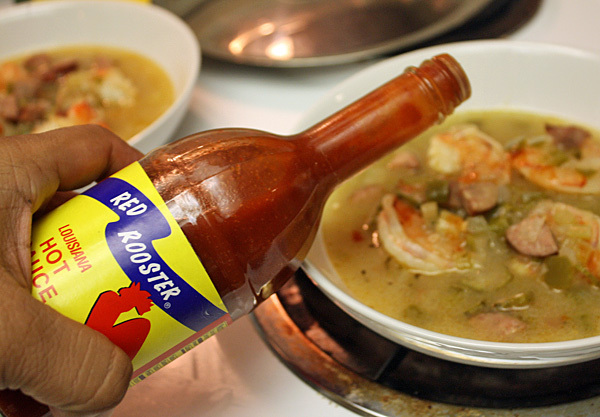 To plate: Separate servings and season to taste with salt, pepper and your favorite Louisiana hot sauce. I’m not one to use much cayenne pepper, so I was surprised at the heat it provided to the dish. Use the hot sauce sparingly if you’re a light weight like me. The sausage and seafood together, combined with the flavorful broth, make this a great dish for the winter. Next time I make this one, I’m going to try it over a serving of brown rice.